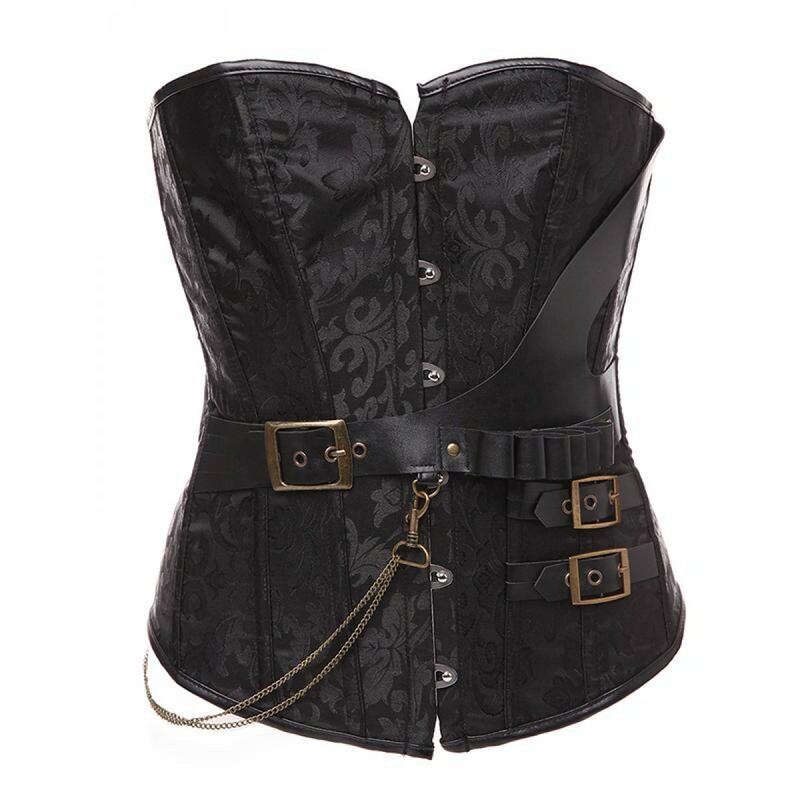 Elegant corset with brocade fabric with synthetic leather details and with buckles that makes it a more gothic style. The rods are of PVC of great resistance. 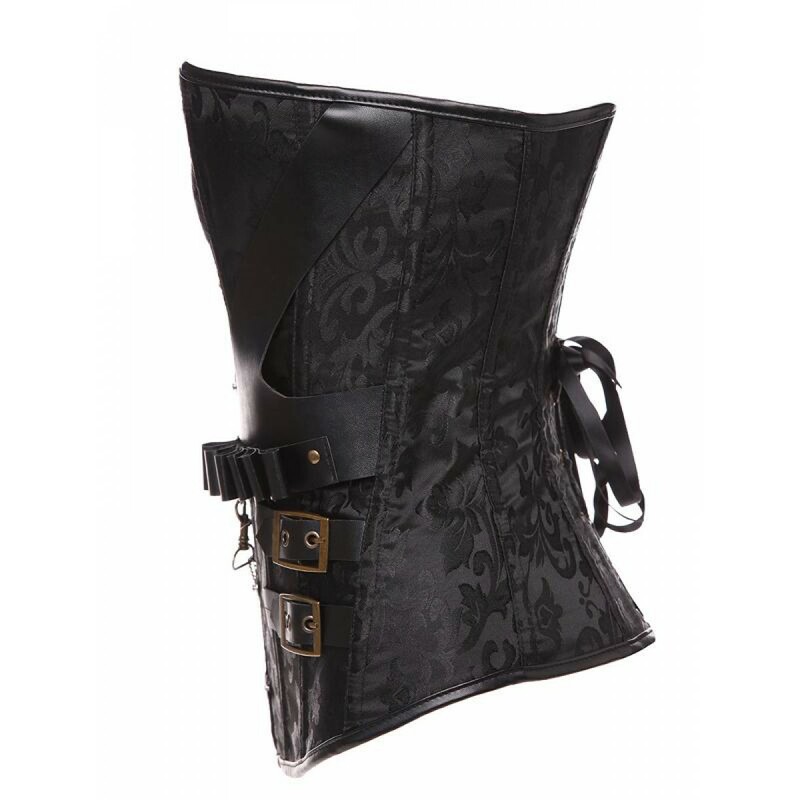 It has a new metal closures in front, so it is easier to put on and remove the corset. It is tied behind with string.